This 2-week healing plan will assist you in shifting your intimate relationship from a pattern of disharmony and conflict to one of harmony and cooperation. This plan is designed to heal areas of your relationship where you or your partner feel compromised. Compromise may manifest in frequent conflict, or in the avoidance of conflict by one partner accommodating the other person. Either one is not true harmony, but instead a compromise to both individuals and the relationship. In order for a relationship to thrive and grow, both individuals need to feel safe and supported in speaking their truth and living their truth within the construct of the relationship. This healing plan will help you create that. At the end of this 2-week healing plan, you will have energetically set positive, cooperative energy into motion in your relationship, supporting both individuals in speaking and living their truth. This Healing Plan is successful with both people in the relationship participating, or one member of the relationship. If your partner chooses not to participate, go through the Healing Plan with the intention that it will have as positive an effect on your partner as if they were choosing to go through it with you. 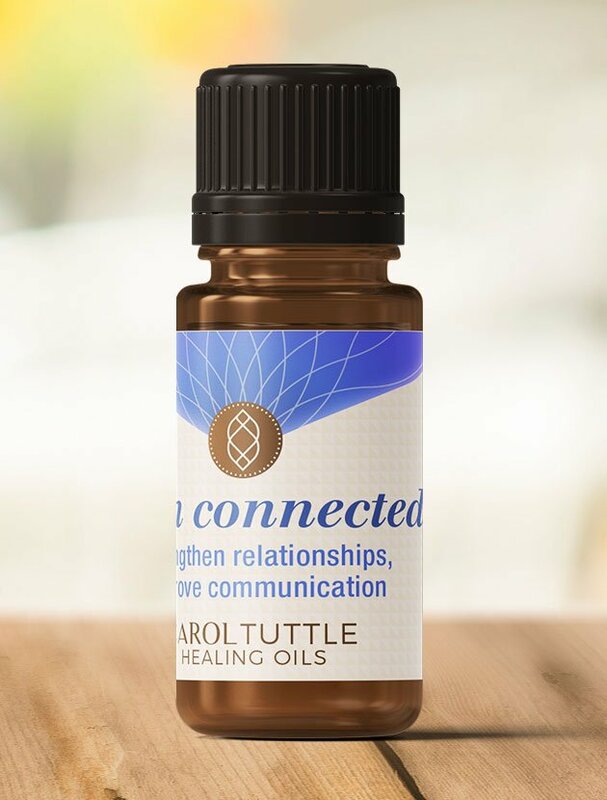 The oil customized to support you in this Healing Plan: I am connected. Do each of these short exercises every day of this 2-week healing plan. In other words, do these daily practices along with the healing sessions for Week 1. When you move on to Week 2, continue to do these practices daily. The list may look long, but the techniques are quick once you’re familiar with them. Each technique resets your experience within your relationship. Listen here or download and listen on the go. Listen to this session in the morning to set the energy of harmony into motion in your relationship each day. Listen here or download and listen on the go. As you listen to this short audio each day, you train your mind to create new thoughts and perceptions in reference to your relationship. These thoughts, compounded with positive feelings energetically start to create what you are focused on. Use them to create the relationship of your dreams. While listening to the Affirmations audio and repeating them out loud, do Energy Circles to bring into physical manifestation what you desire for your relationship. To create a positive energy connection with your partner, imagine doing the Figure 8 technique between you, connecting your heart energy to your partner’s heart energy. This technique is especially helpful to use if any conflict is stirring. It will help dispel it and open the energy to shift to an energy of balance and harmony. Listen to this audio training daily until you have memorized the 6 steps. Use the 6 steps as the opportunity presents itself. Applying the 6 steps will shift the energy of your relationship to help dissolve the pattern of conflict and upsets. Sound healing, using Tibetan healing bowls, helps you process, clear, and ground your energy. They activate your energy centers to help you express your true self with more ease. Listen to this track while you journal, do your Energy Circles, do your Figure 8 Creation Technique, while you go on a walk, or as you fall asleep at night. This general relationship clearing will support you in letting go of hidden emotions and beliefs that keep your relationship stuck in a compromised state. You may unknowingly recreate dysfunctional relationship patterns due to patterns you learned in your childhood and family of origin. This healing session will release you from that energy to freely create what you desire in your adult relationship. It is very common that we re-create the same upsets and conflicts over and over. This session will assist you in creating new relationship scripts for you and your partner. The more aware you are of the energy centers that influence your intimate relationship, the more power you have to create the relationship you want. This session will open and clear your energy centers that directly influence the quality of your relationship. This Coaching Call is a phenomenal resource for those going through the Healing Plan for Relationship Challenges. Carol answers questions specifically about relationships and reads a portion of her new book to support you in having a healthy energy of creation. If you or your partner run a pattern of people pleasing, you are not showing up as your true self in the relationship. This healing session will help you release these patterns so you can trust that you will be supported by your partner when you speak your truth. Taking on your partner’s energy could cause undue stress and anxiety that then provokes conflict and upset in your relationship. Staying in your own energy and allowing your partner to be responsible for their energy will reduce and eliminate upsets. Use the technique taught in this session that references helping your partner shift to a higher state of consciousness. It is easy to get stuck in patterns of blame and control in our intimate relationships. This healing session will assist you in clearing known and unknown limiting beliefs and emotions so you are free to create a healthy, collaborative, intimate relationship where both partners are willing to be accountable for what they create. You may have the fear that your partner will reject you if you’re just being your true self. This session helps you stop the pattern of worrying what others think, as well as feeling as though you need to change yourself in order to fit in and be accepted by anyone. Opens your heart to more love. Creates energetic boundaries so you don’t take on other people’s energy. Creates a harmonic balance and stronger connection between partners. Roselle: Initiates a deep purification of the emotional body, thereby helping release the emotional limitations that hinder personal growth and happiness. It opens you to receive more love and emotional support. Brigid (for her): Brigid is an overall restorative for the adult female body of all ages. The synergy created by Brigid’s gemstone components offers women a profound soothing protection. Green Tourmaline (for him): Broadens a man’s awareness as it maximizes the flow of his life force, granting him courage, vigor, and vitality.